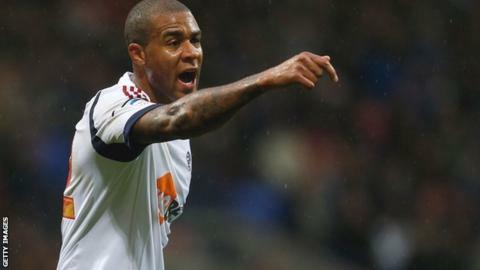 Captain Zat Knight was pleased to return to the Bolton side on Tuesday, despite losing 1-0 to Huddersfield. When Knight moved from non-league side Rushall Olympic to Fulham, the Cottagers had no transfer fee to pay. Instead, then chairman Mohamed Al-Fayed sent 30 tracksuits to them as a goodwill gesture. Meanwhile, midfielder Mark Davies played 65 minutes of a practice match against Rochdale on Wednesday, his first action since at the end of February. "It's been a long time coming, but it feels great to be back and involved," Davies told the club website. "I've been on the sidelines for near enough a year having done my shoulder prior to getting injured in February, so it's been really frustrating. "Hopefully soon I'll be back in the thick of it with the boys helping them to pick up results."